Amateur baker: Should we make a cake? Apprentice chef: Yeh! What cake should we make? 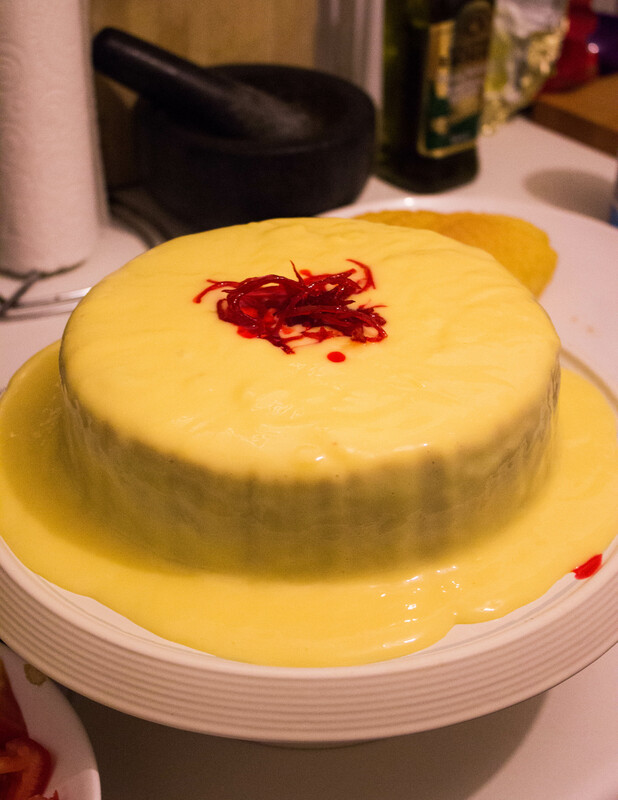 Apprentice chef: Are you going to pretend you don’t have a cake blog? Amateur baker: Touché! So what cake are we going to make? Amateur baker: Oh fine, let’s make a cheesecake. Apprentice chef: Great, what cheesecake should we make? 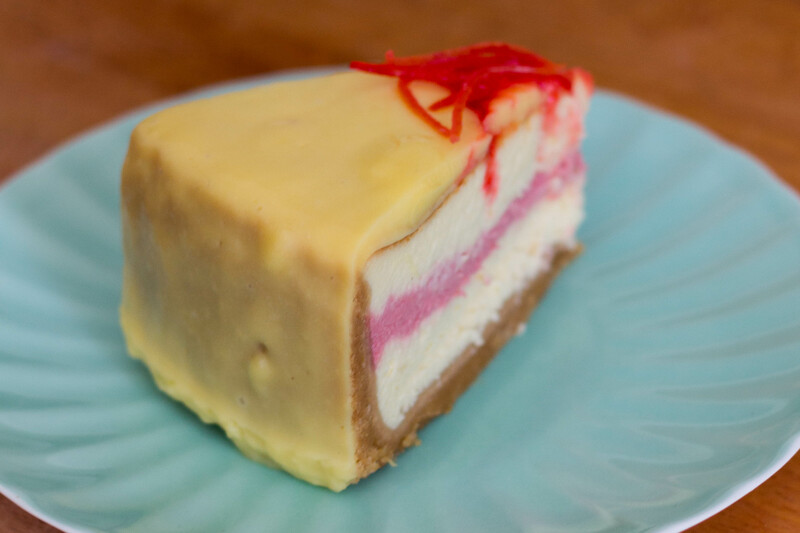 Amateur baker: I don’t know, what cheese cake do you want to make? Apprentice chef: That one on your blog. Amateur baker: But I’ve made that already! Apprentice chef: But it looks so good! Amateur baker: Fine, we’ll use the recipe but make a different flavour. Apprentice chef: Cool, what flavour? Apprentice chef: Fine, let’s just wing it. A special thank you to my brother (the apprentice chef, who is actually no longer an apprentice… congrats bro!) for creating this masterpiece of a cheesecake with me! 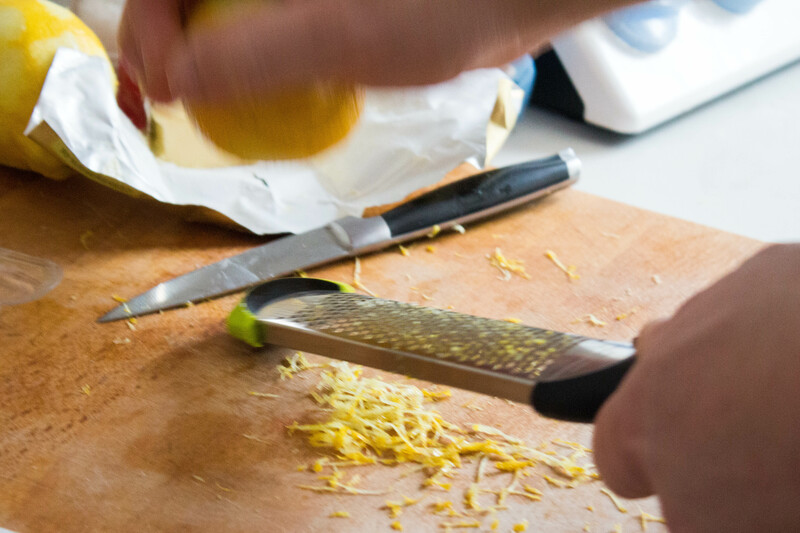 Place the biscuits into a food processor and blitz until you have a fine crumb. Add in the butter and lemon zest and blitz until the mixture comes together. Press the mixture into an 8 inch spring form pan, pressing it up the sides of the pan as well as into the base. 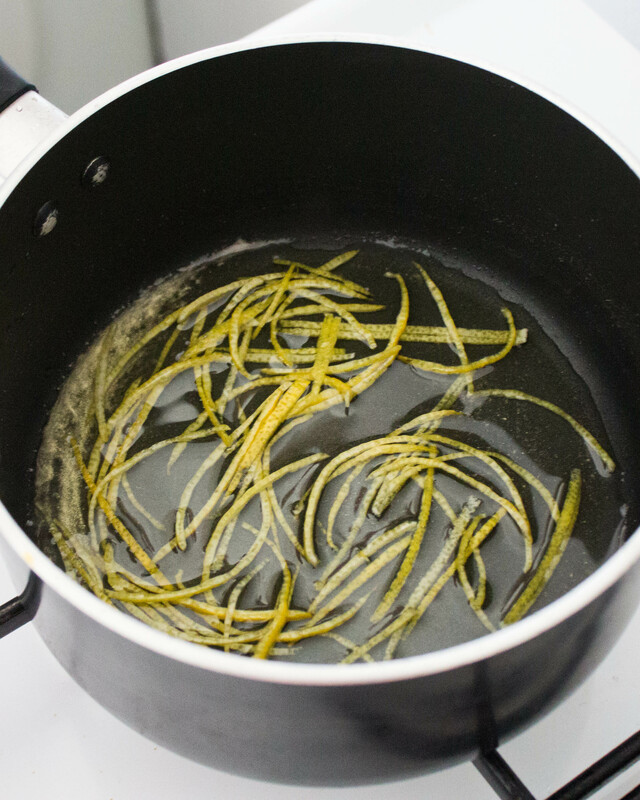 Place sugar, lemon zest and water into a small saucepan and heat to a gentle simmer. When the liquid has reduced by half, add in the raspberries and continue to simmer, stirring occasionally. 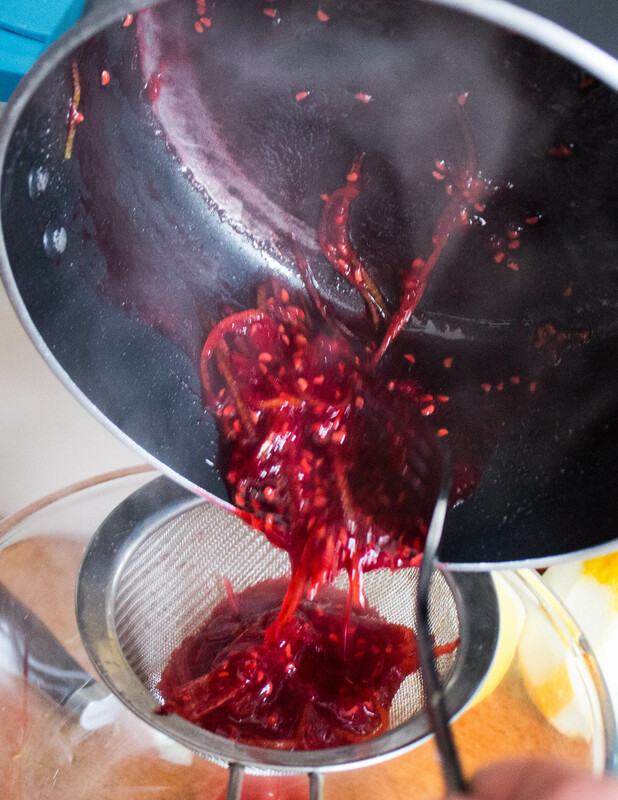 Once the berries have broken down and the liquid has thickened, gently strain the mixture through a sieve, taking care not to damage the lemon zest. 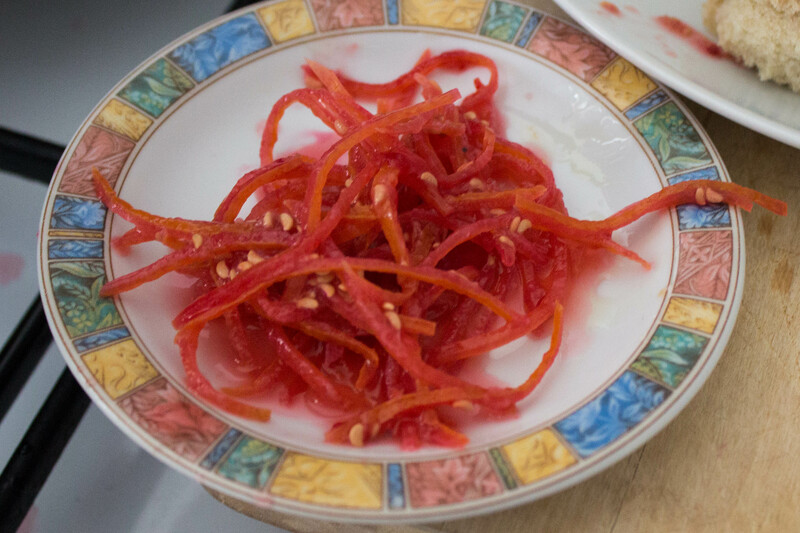 Set the raspberry coulis aside to cool, then pick the lemon zest out of the pulp and set aside for later use – this is your raspberry infused candied lemon zest. In a large bowl, beat the cream cheese, sugar and vanilla until smooth, then add in the sour cream and double cream. Add the eggs, one at a time, beating after each addition, then beat in the flour. Take out about 1/4 of your mixture, and add in your cooled raspberry coulis. This will be your middle layer. Divide the remaining cheesecake mixture in half using a scale if you have one, these will be your top and bottom layers. Take the pan containing your base and tightly encase it in foil. You will be baking your cheesecake in a water bath so you don’t want any leakages! 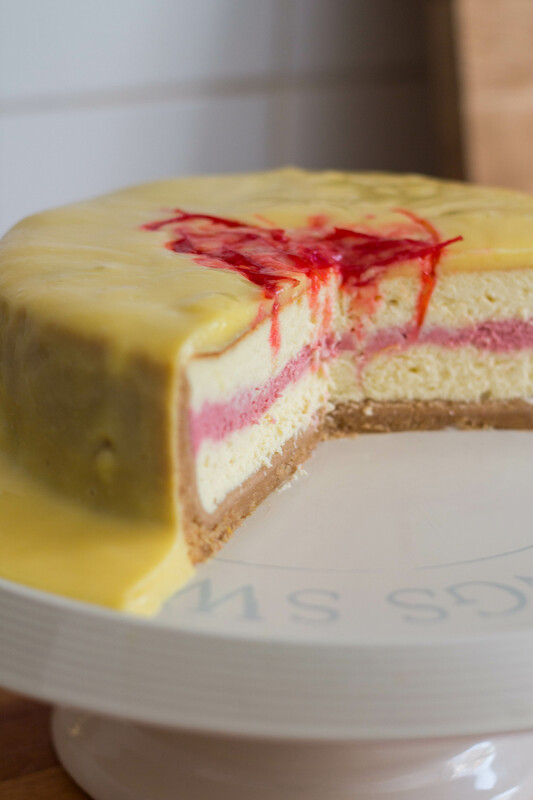 Pour one part of your plain mixture onto the base of your cheesecake, then gently spoon the raspberry layer on top of this. Once done, spoon the rest of your plain cheesecake mixture on top of the raspberry layer. 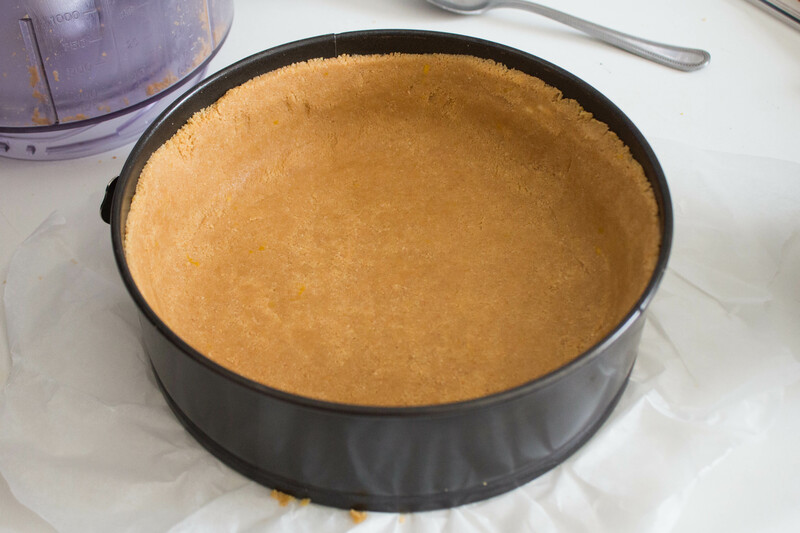 Place your cheesecake into a large, deep baking tray, then place it in the oven and fill the tray with boiling water so that it reaches just past halfway up your pan. 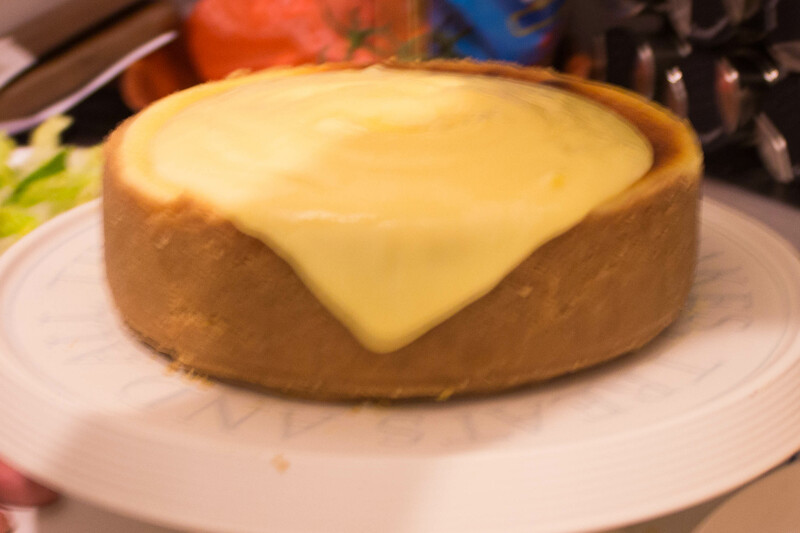 Lower the oven temperature to 165°C/325° F/Gas Mark 3 and bake for 1.5 hours, or until cheesecake is set but still slightly wobbly in the centre. Combine the eggs and sugar and whisk, then add in the cream and juice and whisk until combined. Place mixture over a double boiler and whisk continuously until mixture is thick and smooth. Add the gelatin leaf and continue to whisk over the heat until dissolved. 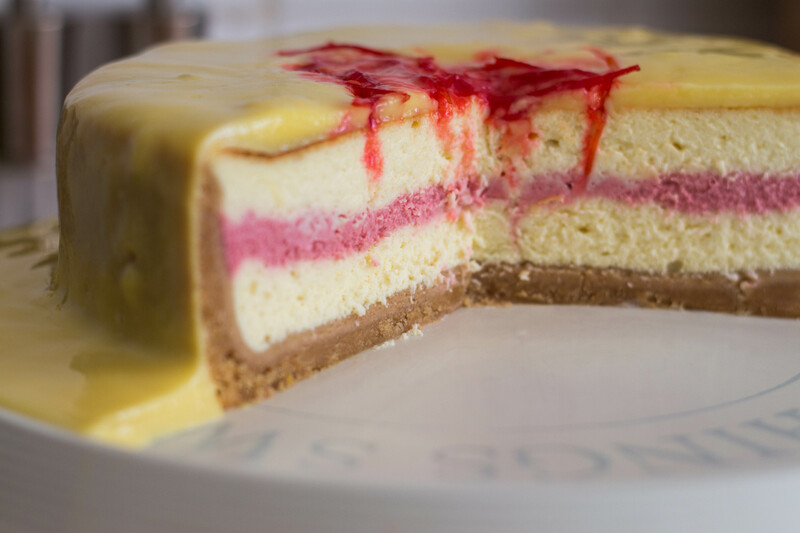 Once your cheesecake has cooled, slowly pour the lemon curd onto the centre of your cake, allowing the mixture to drip down the sides and encase your cake in a lemon curd ‘crust’. 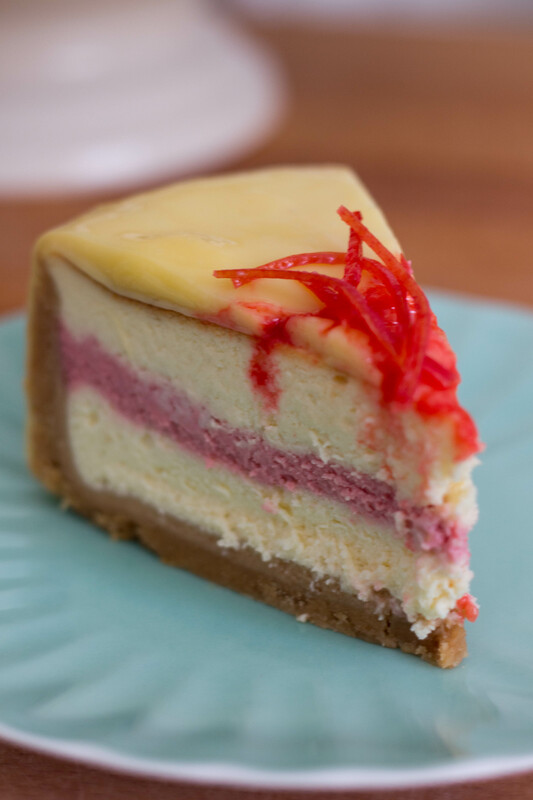 Garnish with raspberry infused lemon zest, refrigerate, then serve!